June 29, 2015 – Scotch Whisky Association CEO David Frost and his predecessor, Sir Gavin Hewitt, both came to the association following service in the UK Diplomatic Service, so it comes as little surprise that Frost and the SWA’s directors would select another diplomat to head up the association’s new London office. Ambassador Sarah Dickson will join the association once she wraps up her service as the Queen’s Ambassador to Guatemala and Honduras. 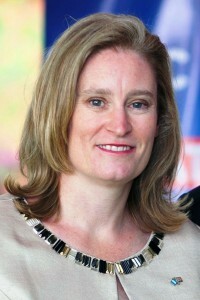 As Director of Global Affairs, Dickson will be responsible for the association’s lobbying efforts on trade and taxation worldwide. Her speciality is European and Latin American affairs, and she served at the UK’s embassies in Spain, Argentina, and Serbia before being appointed to her current post. In addition, Graeme Littlejohn has been named to head up the London office’s external affairs unit with responsibility for relationships with the UK Government and Parliament. Littlejohn was chief of staff for former MP and Chief Secretary to the Treasury Danny Alexander. Trade policy manager Helena Mumdzjana will move from the SWA’s Edinburgh headquarters to London, and the association is hiring additional trade and regulation analysts to staff the London office when it opens next month. In a news release, Frost and his colleagues repeated their intention to keep the Association’s headquarters in Edinburgh. Plans are in the works to move from the longtime office in Atholl Crescent to new offices in Edinburgh’s Quartermile development later this summer.